Today is a special day! 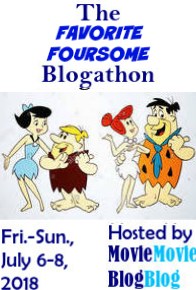 Drew from Drew’s Movie Reviews and I will be hosting our third blogathon this year! Following our past two year’s theme, we are continuing the Ultimate Decades. We went forward in time last year to the 90’s and now we’re going to the past as we dive into the 1970’s. I’m excited to announce the Ultimate 70’s Blogathon! Why 1970s, you ask? 1970s had a lot of great films that came out. For starters, the second half of the decade saw the beginnings of some great franchises from being hunted by a giant lethal alien Xenomorph in Alien to being pumped up by Eye of the Tiger in Rocky. Of course it doesn’t stop there. The world was introduced to the frightening Michael Myers in Halloween and the shores of Amity Island was terrorized by a shark in Jaws. Of course, we can’t forget the more lighthearted movies that took us into a dancing and singing musical world in The Rocky Horror Picture Show which showed us how diverse Tim Curry’s acting is as he transformed into a mad scientist/transvestite as well as John Travolta and Olivia Newton-John experiencing a life-transforming love in Grease. And of course, we also got introduced to the Corleone family and their ruthless mafia ways in Godfather. Just look at all those selections! I’m sure all of you have your reasons of what started your love for 70s movies whether you grew up with it or later was introduced by some iconic title. 70’s is a little before our time but we have found our love in 70’s film nonetheless and like previous years, we will be kicking off the blogathon with our choices. For this blogathon, here’s our question for you: What 70’s movie do you love? What sparked your love for the 70’s? What movie do you think is a movie representative of the 70’s as a starting point? Ultimate 70’s Blogathon is quite simple like previous years. The rules are straight-forward: You can choose and review whichever movie you’d like as long as it was released in the 1970s. Preferably, it is a choice that inspired your love for this decade whether its one that you love watching over and over again or one that you grew up with or the movie that you simple love. Ultimate 70’s Blogathon kicks off on February 12th, 2018. We have allocated 3 weeks to sign up and get us your posts. The deadline to send us your reviews is February 4th. However, we do fully acknowledge that everyone is busy so if you do need more time, just send us an email to tell us and we can plan accordingly. We will be posting it alternating between our two blogs so please remember to submit to us your review. 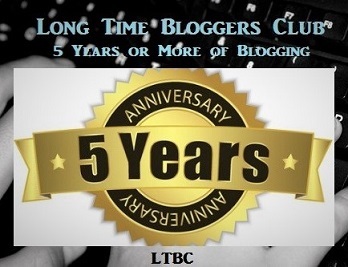 If you do plan on posting it on your blog/website as well, do tell us and we will match up the posting day. We really hope that you can participate! You can tell us whether you can participate in the comments below or send us an email at kim.tranquildreams@gmail.com and drewt510@gmail.com. We love to have your choice as a surprise so if you participate, please email us your selection as well.